Travelzoo recently polled staff from its 25 offices around the world to get their insight about local Halloween traditions. Here are some of the things that they discovered. Our friends in the UK say that Halloween is actually linked to All Saints Day, which has been recognized since 835 AD when the Roman Catholic Church made Nov. 1 a church holiday to honor the Catholic saints. Another name for All Saints Day is All Hallows, hence the night before being called All Hallows Eve (or Halloween as we now know it today). No matter where you live — suburb, country or city — it is hard to miss Halloween these days. However, even though Halloween decor can be available for purchase in some stores as early as Labor Day, most people hold off on putting up their decorations until October, with some leaving it right until the last minute, particularly in metro areas. Young adults readily celebrate the tradition with costume parties at home and out on the town. But really Halloween has come to be all about children. In addition to trick or treating, block parties and other community events, schools whole heartedly embrace the theme with school parties, costume parades and pumpkin patch trips. There is also something called “trunk or treat” in some parts of America where parents visit their child’s school and hand out candy from the back of their car (trunk). 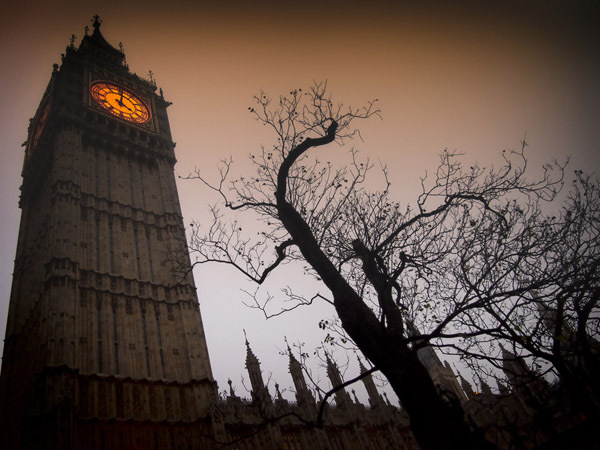 Unsurprisingly, the United Kingdom has the longest history with Halloween. However celebrations didn’t really begin until the 19th century, when Oct. 31 was singled out as a day when witches, goblins and ghosts are especially active. Over the years Halloween has evolved from a night of superstition and mischief to the commercialized event that it has become in the U.S. Expect to see street parties, house parties and community events across the country, as well as lots of kids “trick or treating” in their local neighborhood. What you won’t find are some of the games and customs of old. For instance, in Lancashire, “Lating” or “Lighting the witches” was once an important ritual that involved people carrying candles from 11 p.m. to midnight. If the candle burned steadily the carrier was safe for the season, but if a witch blew it out it was viewed as a bad omen. Similarly those in northern England used to put nuts on the fire and, depending on the behavior of the nuts in the flames, you could forecast the faithfulness of your sweetheart or the impending doom of your marriage. As in the UK and U.S., Canadians make pumpkin carving part of their Halloween ritual and use lit jack-o-lanterns to signify that children can trick or treat at that house. The pumpkin seeds are then roasted for a fall snack, or the insides used to make homemade pumpkin pie. Pumpkin spiced drinks are also popular. Similarly, you can expect to see decorations ranging from headstones, streamers and cobwebs outside houses in the suburbs. Although street parties are less common, house parties are popular with those in their 20s — as is the Halloween-themed bar and nightclub scene. Some neighborhoods do come together to host house parties for children, though typically Halloween parties are only part of school activities. But don’t think school initiatives are just for little ones. It is common for Canadian high schools to host a haunted house, and they are often extremely well done. Two things you can also expect to see: lots of winter jackets covering up costumes because of the cold in some regions, and Quebec and Acadian French immersion students singing the “C’est l’Halloween” song by Matt Maxwell. Even though Australia has a history that is also tied to Great Britain, Halloween has not been celebrated widely until recently. Moreover most of the traditions that have surfaced have been largely influenced by American television. A decade or so ago hardly anyone celebrated Halloween in Australia and, though the retail outlets push the idea quite hard these days, it’s still not something that has much meaning — popular culture aside. However adults do use Halloween as an excuse to have a party and costume shops have a roaring trade at this time of year. In the suburbs, trick or treating has started to become more common and if you look hard enough you might even find the odd street party or two, though this is still rare. And don’t expect to see too many house decorations either. Those that do decorate only do so a day in advance. Not surprisingly, Travelzoo employees in Japan report that Halloween is fairly low key in their country. However some stores (like 100 yen shops) have started to sell decorations. Restaurants and bars have also begun to embrace the theme, and cities like Kawasaki, Omotesando and Roppongi host parades where kids and adults can show off their costumes. Some schools also host Halloween parties. You can however expect to see restaurants, cafes, sweet shops and even departments stores selling food either made with pumpkins or decorated with a pumpkin face at this time of year. The city of Shibuya is going to hold a Halloween party this year that will include a costume contest in a train. The train is called “Otona,” which means adult, and 109 individuals can attend and judge all the costumes onboard. Like Australia and Japan, Germany is also a relative late-starter for Halloween, having only adopted the tradition in the 1990s. What is particularly interesting is that Halloween was apparently used as a commercial response to a very real situation. In 1991, during the Gulf War, there was overwhelming public sentiment to cancel Germany’s very popular Carnival festivities (famous for parades and costume balls) because nobody wanted to celebrate a happy event during that time of conflict. However costume dealers still had their stock to sell and that is when they remembered Halloween. They used Americanized popular culture to create a new reason to buy their products, and the rest is history. Today Halloween in Germany is the considered to be the second carnival — a reason for parties and fun. 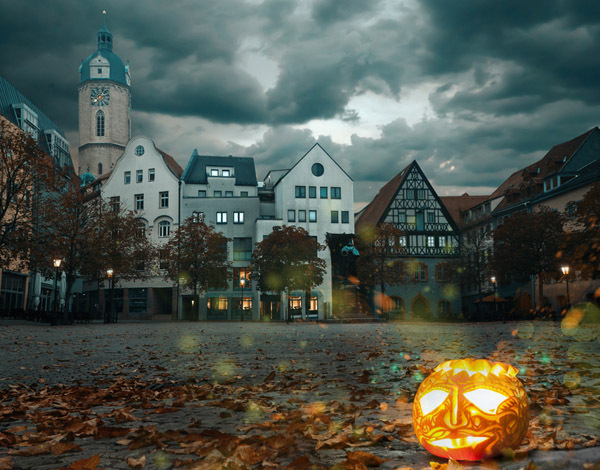 Although the use of Halloween decorations in private homes is a lot less than in the U.S., German children do like to trick or treat and All Hallows Eve is seen as an opportunity to host a themed party for adults. However there is resistance. Critics say that traditional customs are disappearing in favor of big commerce and there are also concerns about vandalism (graffiti, egging and toilet papering in neighborhoods). In addition some Christians dislike that Halloween shares Oct. 31, which is Reformation Day and typically used to remember Martin Luther.